Because you’re ordering today, I want to make you a one-time offer to get two more of our most popular products for a DEEP discount. …but you can get ALL of these incredible courses, a literal masters degree in performance that will allow you blow the doors off your competition and leave your friends astonished, for just $97 – if you take advantage of this offer. Either way, you’re still protected by my iron-clad, risk-free, money back guarantee. If you’re not THRILLED with everything you get, just let me know and I’ll refund every penny of your investment. You will never be shown this opportunity again and this is your only chance to claim these two additional courses at an incredible discount. There’s no doubt that Larry Widmer is one of oldest names in the Honda engine building business and has earned his nickname “the old one.” Larry will share with you wisdom and secrets of building a reliable, and FAST, engine that you simply will not find anywhere else. 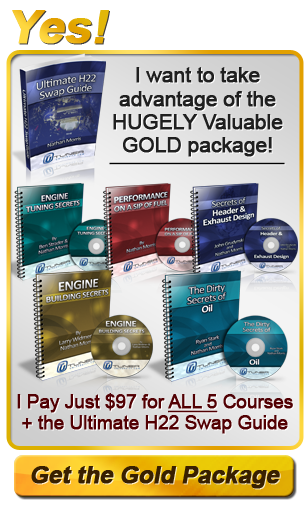 Dirty Secrets of Oil with Ryan Stark (reg $69.95) You want to know the BEST oil to run in your new engine? Want to know if expensive oils are REALLY worth the money – this is the guy who will tell you the NO B.S TRUTH about oil and it’s role in your engine. 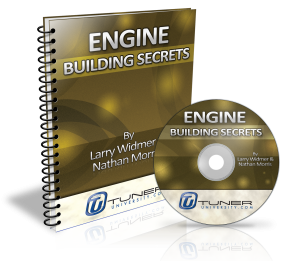 Ryan has spent 15 years of his life analyzing oil samples from nearly every type and make of engine in existence and for the first time ever, you’ll be able to get the real scoop on what works and what does. This course alone could potentially save you thousands of dollars over your life time.